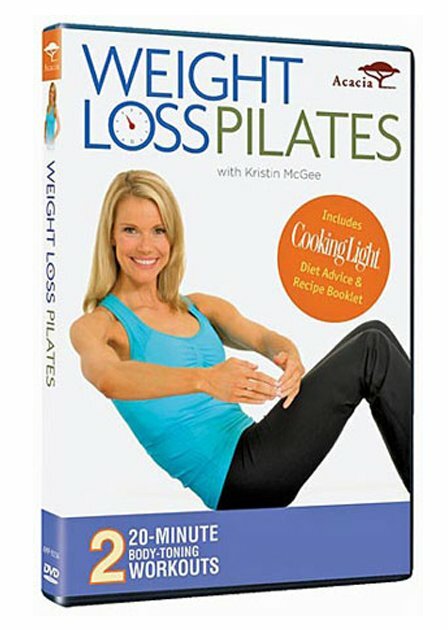 Lose weight and get a lean, toned Pilates body! This simple program incorporates all the tools you need to reach your weight loss goals. By fusing traditional Pilates exercises with fun, calorie-burning “cardio blasts,” you’ll keep your heart rate escalated throughout the entire workout. That means you’ll be toning muscle and burning fat at the same time for optimum results! It’s an effective and efficient way to get in shape fast. Since healthy eating habits are key to successful weight loss, we’ve included nutritional tips and delicious recipes from Cooking Light, the magazine dedicated to helping you eat smart, be fit, and live well. We’ve also added a bonus section with simple moves you can do throughout the day to boost your calorie burn. This comprehensive program is easy to follow and designed to fit into the most hectic schedule. You CAN finally lose weight–starting today! You’re an extremely practical web site; could not make it without ya!